Caption slip reads: "Photographer: Paegel. Date: 02-09. Reporter: Slaten. 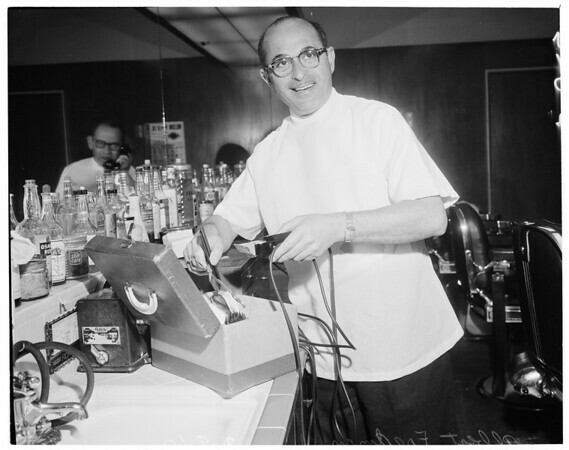 21-22: Albert Fredman, barber who is flying to Florida to cut Jerry Lewis's hair."